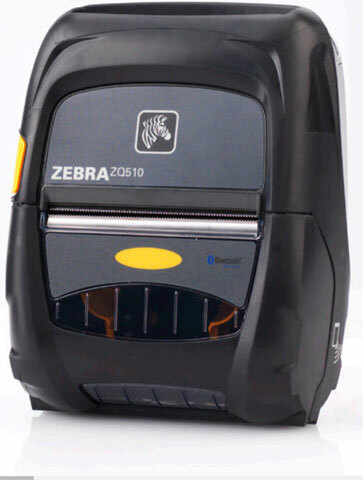 Zebra ZQ510 - 3" Mobile Thermal Printer, 203 dpi, Wi-Fi and Bluetooth Interfaces, Active NFC. Apple iOS, Android, Windows Mobile and BlackBerry compatible. 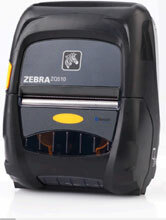 Zebra's ZQ510 Series offers best-in-class, rugged mobile printing for applications outside of a business's four walls. The premium 3" (72 mm) ZQ510 printers are Zebra's next-generation of high-performance mobile printers. The printers' patented, military-grade design provides exceptional durability and reliability in the toughest environments. The Zebra ZQ51-AUN0100-00 is also known as ZEB-ZQ51AUN010000	or ZQ51AUN010000	.